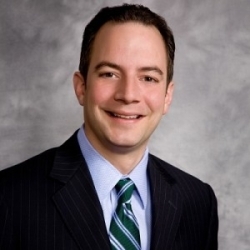 Some years back I had lunch with Reince Priebus, then the chair of the Wisconsin Republican Party. I liked him. He was personable, unpretentious, and proud of his Greek-American heritage. I admired the energy he was bringing to his party. But as head of national Republican Party, Priebus has recently championed a proposal that looks like an attempt to steal presidential elections. In essence, the GOP would change the way the electoral votes are tallied, but only in swing states — like Wisconsin, Virginia, Pennsylvania and Michigan — that voted for Barack Obama, in a way that would have handed their electoral votes to Mitt Romney. Certainly, there is ample reason to reform the electoral college system. Four times in history the winner of the popular vote did not get elected president. Just ask Democrat Al Gore, who won the 2000 election by more than 500,000 votes yet lost to Republican George W. Bush. Republicans party leaders, however, liked how the electoral map stacked up after the 2000 election. But in the last 12 years, that map has flip-flopped: as poll analyst Nate Silver has concluded, the Democrats now have such a huge electoral advantage that Romney might have needed to win the popular vote by three percentage points to carry the electoral college. Perhaps that’s why Republicans would now like to scrap that system. A recent Gallup Poll found 61 percent of Republicans now favor a change to a system where the winner of the popular vote is elected president, a huge shift since 2000, when only 41 percent of Republicans supported this. Republicans could seize the ethical high ground with a proposal to elect presidents based on the popular vote. (I’d happily join such a campaign.) But they have instead proposed a system where only certain states would change how the electoral system works. Republican legislators aggressively packed Democrats into super-Democratic districts so the GOP could gain more legislative and congressional seats than would be expected from the state’s total popular vote. Wang points to North Carolina, where the state-wide vote for House candidates was 51 percent Democratic, yet just four Democrats and nine Republicans were elected. Nationally, Democrats received 1.4 million more votes than Republicans for the House of Representatives, yet the GOP won control of the House by a 234 to 201 margin. Both House Majority Leader John Boehner and Wisconsin congressman Paul Ryan claimed the GOP victory in the House proved Obama didn’t have a mandate from the voters. In fact, there was a popular Democratic majority for President, Senate and House. The Republicans now want to use their gerrymandered advantage in congressional districts to achieve a similar sort of “mandate” in presidential elections. Preibus has proposed that Republican legislatures in control of swing states that voted for Obama should move to allot electoral votes by congressional district. “I think it’s something that a lot of states that have been consistently blue that are fully controlled red ought to be looking at,” he suggested. Under this approach, Emory University political science professor Alan Abramowitz has calculated, Romney would have won 12 out of 18 electoral votes in Ohio, nine out of 16 electoral votes in Michigan, 12 out of 20 electoral votes in Pennsylvania, and five out of 10 electoral votes in Wisconsin, even though he lost all four states, often by large margins. “You’d see a massive shift of electoral votes in states that are blue and fully [in] red control,” one senior Republican told the National Journal. “There’s no kind of… outreach that can grab us those electoral votes that quickly.” Why worry about changing the party’s positions or messaging if you can simply rig the rules of the electoral game? The injustice of the Priebus plan is nakedly apparent: Heavily red states would continue awarding 100 percent of electoral votes to their Republican choice for president, but blue states would divide their votes proportionally. As scrutiny from the media and criticism from Democrats increased, Republicans backed off a bit from the idea. Wisconsin Gov. Scott Walker, a friend of Priebus who is well-connected to national GOP leaders, initially declared himself intrigued and willing to consider the idea, but later announced he would not pursue it. Some Republicans, however, have found a new way to accomplish the same ends. Pennsylvania’s Senate Majority Leader Dominic Pileggi recently announced he will introduce legislation that would award that state’s electoral votes proportionately according to the popular vote. This would have given Romney 8 of the state’s 20 electoral votes, rather than the zero he received under the winner-take-all scenario. So far, no one in Wisconsin has jumped to embrace that approach, though Assembly Speaker Robin Vos had indicated earlier that he was open to awarding electoral votes by congressional district. Sticklers will note that Nebraska and Maine have for some time awarded their electoral votes by congressional district, but they are such small states it has had no impact on presidential elections. But Abramovitz has calculated that if the electoral votes in the 2012 election were awarded in every state by congressional district, Romney would have won the presidency with 276 electoral votes — despite the fact that Obama won by more than five million votes. Such is the gerrymandering advantage the Republicans have achieved in congressional districts. That’s a complete contradiction to Priebus’ plan to change the way electoral votes are awarded only in blue states, and to a GOP gerrymandering strategy that has successfully resulted in urban areas being under represented in state legislatures like Wisconsin’s. This words of this op-ed sound more like the Priebus I had lunch with years ago, who I thought believed in fair play. Here’s hoping Reince and the Republicans choose to live up to those sentiments. -Obama, by the way, is the first president since Dwight Eisenhower to win two presidential elections by more than 51 percent of the vote. -Madison Cap Times Associate Editor and Nation magazine contributor John Nichols has regularly reported on the Republicans electoral college proposals. So why is Walker not going along with this strategy. Does he figure he will win Wisconsin in any case in 2016? Another good analysis of yet another cynical rigging scheme… thanks for the article! Now if only you would take this same line of thinking into the county board issue. GMC, Abele, and their plan to effectively nullify the board seem quite similar, no? It will be interesting to see which party is hurt more by these schemes in the long run. In the short run, Republicans can win elections even if a majority of voters reject them (in Wisconsin, so long as they don’t fall below about 46% of the vote). This is good for them but doesn’t this remove the incentive to reach out beyond the base, resulting in their moving further to the right and turning off more voters? But where will Democrats find the leadership to take advantage of this? Most of their legislators come from very safe districts and have little experience with reaching out to voters who may be wavering. One interpretation is that Republicans’ eagerness to rig the game in their favor reflects a deep pessimism about their future. Bruce, you’re wasting your breath over a dead duck. Priebus has a plan to steal the last election. How anachronistic can you get? To Tim Haering: Bills have been discussed and/or introduced in at least four states controlled by Republican legislators in order to change the results in the 2016 election and beyond. I’d just like to note that Nebraska and Maine have for some time awarded their electoral votes by congressional district. 🙂 Excellent work as always, Bruce! Fact check: Reagan got more than 51% both times, Bruce!! Who’s your editor? @Scott D According to Fox News http://www.foxnews.com/opinion/2010/11/04/ronald-reagans-election-th-anniversary/ Reagan got 50.7 percent of the vote. This is more fun, Bruce, No one in Wis. is talking about that and there will be no change. The only states that are doing that are blue states. Eisenhower did well, but Reagan much better, a conservative. Eisenhower and Reagan will go down in the top ten in history, Obama will not nor Bush. I have always expected you as the best investigative, left wing reporter in the state, but come on. The reason that the founding fathers selected the Electoral college was that they expected that some time a coalition might be necessary to be formed. the reason that there were 338,000 more votes cast for Prez and Senate was that was what the outside agitators, paid organizers trained their minions to do when they came into the state. It was far too hard for them to memorize more than two names. There were also 647,000 more votes cast for Obama than democrats in the legislature. Most of the people that they trucked in, to vote, could not read well, they went to MPS. Bruce, do I have to teach you everything? I really can’t tell if he believes everything he spouts; I’m even more incredulous that people would pay to read it. It is so easy to irritate Leftists. To irritate Conservatives you have to lie, to irritate the left you have to tell the truth. Do your home work dummies. Best description of a Lib I have ever seen. Carry on Nurse! For a second I thought I may be over-reaching, thanks for setting everyone straight.